My name is Devender, I’m from New Delhi in India and I’ve been bartending for the past 12 years. I left school at 14 to become a mechanic, but I didn’t enjoy it, so my Mum suggested I learnt flair bartending after we watched it on a tv programme. I was studying/training at a school for flair and got my break when my cousin asked me to help him behind the bar at an incredible wedding. That was it for me, so I joined IBOM where I kept training until I was sent on my first overseas trip to Singapore. After that, I knew if I wanted to pursue my dream I needed to improve my English, so in all our classes I insisted we all speak English and after hours would meet my Uncle for grammar lessons. I entered a flair competition and placed 5th in the world with led me to work in bars in Sri Lanka, Delhi and Mumbai. 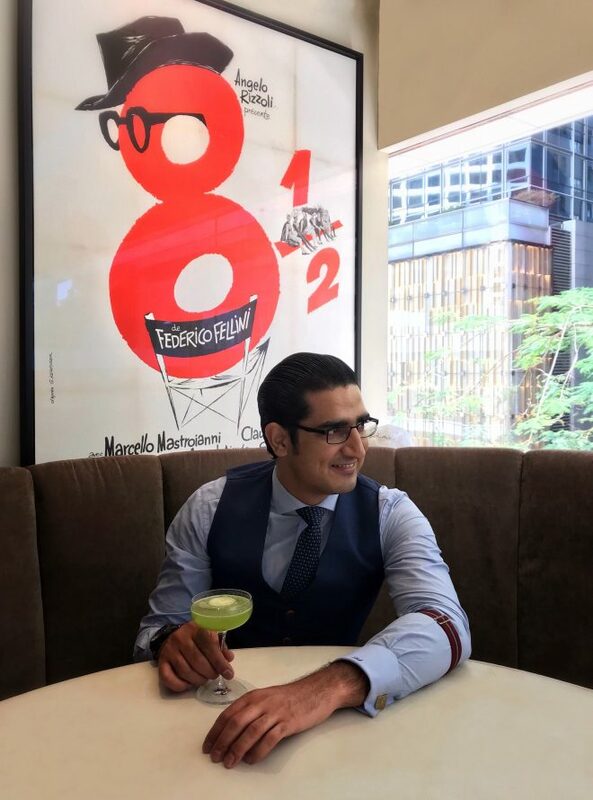 I was offered the role as Bar Manager at 8 1/2 Otto E Mezzo Bombana in Hong Kong in 2013 and have been here ever since where I won the Bacardi legacy for Hong Kong and Macao. There is a bar in Lyon called L’Atelier and I’d love a place similar to that. My bar would be small with no more than 30 covers in New York or London. It would have a classic feel and I’d serve small plates of Indian food to accompany the drinks. I’d also like to open a bar school in India to give kids that can’t travel the same opportunities I’ve had. I’ve started drumming classes, which is something I’ve always wanted to do. I also study poetry and travel whenever I get the chance. I like to do things that are completely separate from the industry, so I can talk to my guests about more than just cocktails. I like gin because of its versatility. They all have different botanicals and flavours that can completely change a drink. There are so many small boutique distilleries that are really exciting at the moment and are producing wonderful gins, like Four Pillars. If a cocktail brings a smile to your face, it’s a good drink. You also need to understand the ingredients and their role in the cocktail. I enjoy using honey because it adds sweetness and flavour at the same time. From manuka to acacia, the honey I choose can completely change a drink. Here in Hong Kong, you must go to COA, The Old Man, Stockton and Mizunara: The Library. I also highly recommend Mint Gun Club in London and Perch in India.